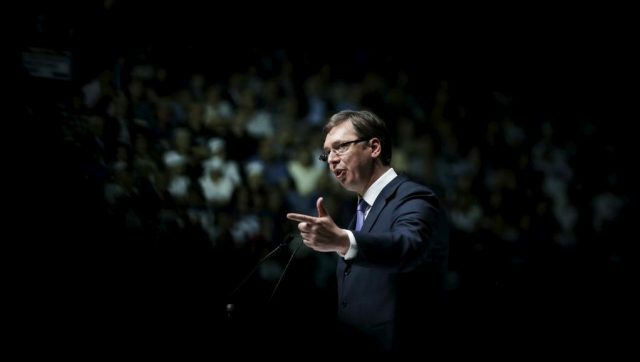 “Security services have learned that unrest is possible during the announced protests in the Serb Republic (RS),” Aleksandar Vucic said on Wednesday. The head of the Serbian caretaker government was referring to the rallies scheduled by both the opposition, and the ruling parties in Banja Luka for May 14. “Peace and stability are the conditions without which Serbia cannot move forward. For that reason I spoke with (RS President) Milorad Dodik and Mladen Ivanic and expressed my concern over the information that we received,” he said. Dodik heads the ruling SNSD party and serves as RS president, while Ivanic is one of the leaders of the opposition Alliance for Change, and represents the Serb entity in the Presidency of Bosnia-Herzegovina. The Alliance for Change said recently they would organize the protest on May 14 “due to the bad economic and social situation in the RS.” The SNSD reacted by announcing their own rally for the same day. “That there is no unrest, that all roads are well secured. I don’t know how the peace will be preserved where there are two groups of buses, but I am pleading with everyone to, with full responsibility, consider the future of the Serb Republic,” he said. “The future and the survival of the Serb Republic would be brought into question by any kind of conflict or physical showdowns, while Serbia would be brought into an uneviable position,” he said.